Gluten-free certification is a process designed to protect consumers with gluten-related disorders by confirming that a food, drink or supplement meets strict standards for gluten-free safety. It assures consumers that there is third-party oversight confirming the legitimacy of the manufacturer’s gluten-free claims. The National Sanitation Foundation (NSF), is an accredited, independent third-party certification body with nearly 70 years of experience focusing on verification of food safety and public health practices. 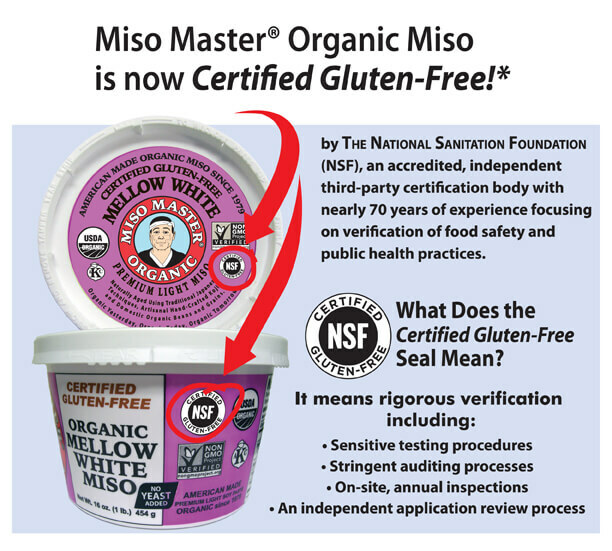 As parent company of Quality Assurance International, a third-party organic certifier, NSF brings a unique science-based verification process to the gluten-free category. NSF International has been collaborating with the World Health Organization since 1997 in water quality and safety, food safety and indoor environments. NSF operates more than 165,000 square feet (15,300 m2) of laboratory space and serves companies in more than 150 countries worldwide. Its 1,200-plus staff includes microbiologists, toxicologists, chemists, engineers, environmental and public health professionals.